Sir Alfred James Munnings, PRA, RWS, grew up in East Anglia (Waveney Valley) and left school at the age of fourteen to work as an apprentice at a Norwich printing firm. During his training he studied painting at evening classes, enabling him to leave the printing business and establish a painting studio. An 1898 accident that led him to lose the sight in his right eye did not deter him, and in 1899 he had two pictures accepted to the Royal Academy Summer Exhibition. A visit to Lavenham Horse Fair had sparked Munnings’s lifelong fascination with painting horses and country fairs that would comprise much of his oeuvre. On a visit to Paris and Munich he admired the work of Henrich von Zügel (1850–1941) before joining the artists’ colony at Newlyn, Cornwall in 1911, where he shared the group's enthusiasm for painting directly from nature. Munnings was turned down for active service in the First World War, but was sent to France in 1918 to record the actions of the Canadian Cavalry Brigade. On visiting the USA for six months in 1924 Munnings was besieged with society commissions. He was elected to the Royal Academy in 1926 and became its President in 1944. 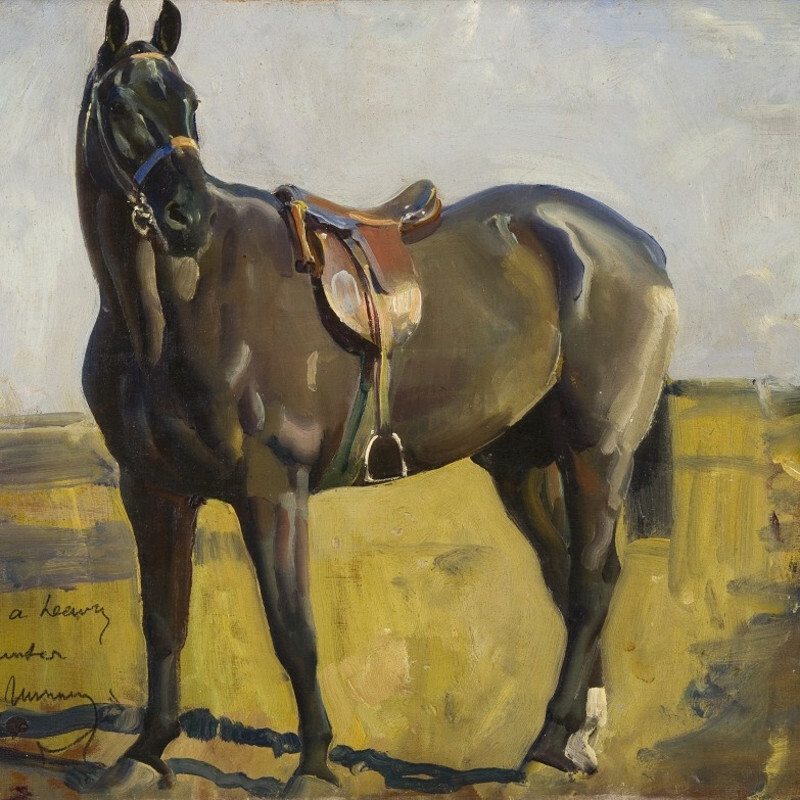 Munnings's importance as a sporting artist has been preserved for posterity by the establishment of the Munnings Museum at Dedham, in the artist's former home.